A strict proof-of-citizenship requirement for Kansas voters pushed by Secretary of State Kris Kobach has now suspended the voting rights of over 19,000 Kansans who were unable to provide a birth certificate, passport or other proof of citizenship to election officials, and Kobach continues to struggle to clean up the mess the law has made. In his latest attempt to fix the problem, Kobach has arranged with another state agency to start checking the names of voters in limbo against birth certificate records to confirm voters’ citizenship. The state’s vital statistics office will compare lists of would-be voters to its records. Kobach’s office would be notified when matches are confirmed. 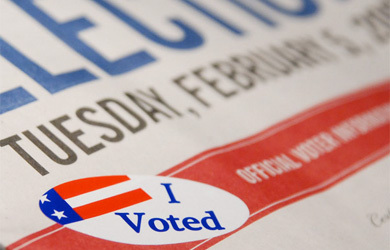 The procedure will be followed in the future as Kansans register to vote. “This, in my view, is good government,” Kobach said. But critics were quick to point out that Kobach’s idea could pose constitutional problems because it treats voters born in Kansas differently from voters born elsewhere. It also raises questions about how women might be treated. Many change their names after getting married and might not be matched with birth records kept by the state. “That is not actually going to work,” said Doug Bonney, legal director for the American Civil Liberties Union of Kansas and Western Missouri. Kobach said provisions will be made for women. He said the state health department tracks name changes and those records will be matched against the voting records. 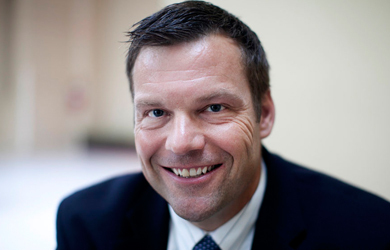 Kobach, however, conceded that prospective voters born in Kansas will benefit more than voters born in another state. He said there are many examples throughout government where people might have an advantage because of their age, marital status or residence. “It’s an extra service but it’s not something that would amount to a violation of equal protection of law,” he said. This is only Kobach’s latest attempt to clean up the mess that his law has created. Along with Arizona, he has sued the federal government to allow Kansas to require proof of citizenship with the federal voter registration form. He has said that if he loses that case he’ll move to set up a two-tiered voting system in the state in which those who register with the federal form without additional proof of citizenship are barred from voting in state elections.